TransDevelopment worked in partnership with the Port of Tacoma and its processor, Auto Warehousing Co., to plan, design and construct a state-of-the-art vehicle processing and distribution center. The project required masterplanning more than 200 acres of greenfield and brownfield development sites. The new project required careful operational planning to achieve a smooth transition between ongoing vehicle operations at the original Pierce County Terminal and the new Marshall Avenue development site. In addition to serving as the port’s master-planning consultant, TransDevelopment was selected to serve as design integrator for the entire project and provided detailed design and engineering work for the extensive on-site rail improvements. During construction, TransDevelopment provided regular on-site representation and coordination to commission the auto processing and body shops, car wash and fueling facilities, and rail ramp yard areas. 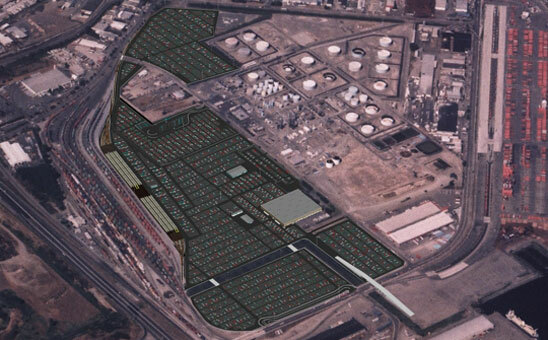 The Port of Tacoma invested nearly $50-million in the two-year-long project, which incorporates more than 145 acres of modern automotive terminal facilities.